HIS HANDS DID NOT REST UNTIL…. I was born as the oldest among 10 children-5 boys and 5 girls, on 13 February 1950 in Kepala Batas, Province Wellesley. My father Mr. Arokiam Ponnusamy and my mother Mrs. Katrine Neelah Arokiam were not so pious or religious. 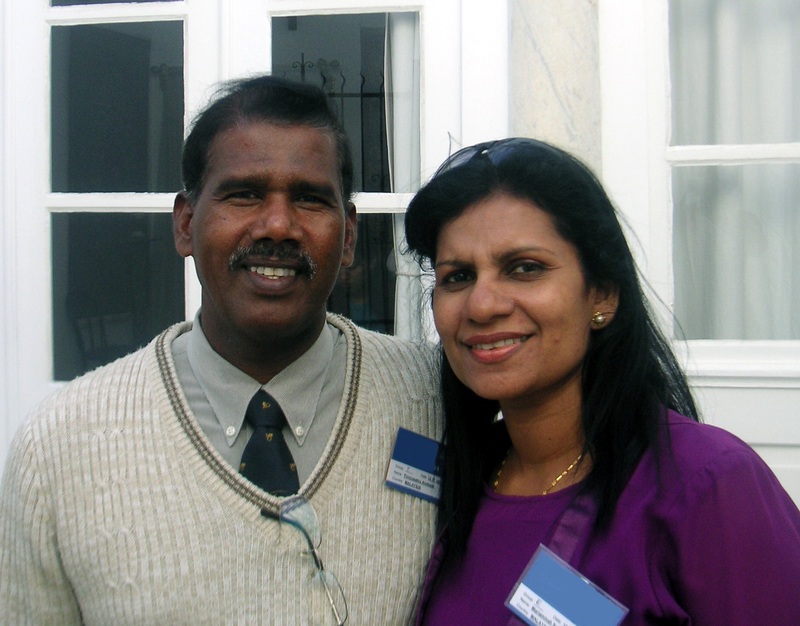 My father came from Hindu background while my mother was from a Catholic background. Since they themselves were not strong followers of their respective religions, it goes without saying that I too was not brought up as a pious believer in any of their religions. On the matter of God, I took a “respectable distance”, a fashionable word in my days. Nevertheless, I followed my aunty every weekend, to the Catholic Church on Chain Ferry Road at Butterworth town, only to have enjoyable outings with my cousins. I first heard the word Baha’i in 1964, when I was 14 years old, from T. Subbaya, my Kepala Batas Primary School classmate. This is the same Subbaya who went pioneering to Sri Lanka. When I heard the word Bahá’í, I just brushed it off as I felt it was of no importance to me then. In 1966, I started attending Bible classes with my relative in Bertam Estate, again just for the fun of it. Later that same year, I met Mr. Govindaraju, originally from the nearby Malakoff Estate but settled in Kepala Batas town. He was teaching martial arts and being a young boy, I was very interested in learning that art of self-defense. When I expressed my keenness in learning the art, he made it clear he was not simply teaching anyone. After some persistence, he agreed with a condition. When I went to meet him on that particular day, he told me to wait in the living room. He went to the altar to pray for some time, after which, he brought a booklet and handed it to me, saying that booklet contained all the mantras or Hindu sacred utterance. He categorically told me that if I wished to learn this art, I would have to memorize the entire booklet and return it to him the following day. With great excitement I went home, wrote down everything contained in that booklet and memorized them. On the following day I returned the booklet to him as promised. The title of the booklet was : GUIDANCE ONE- a Baha’i booklet. 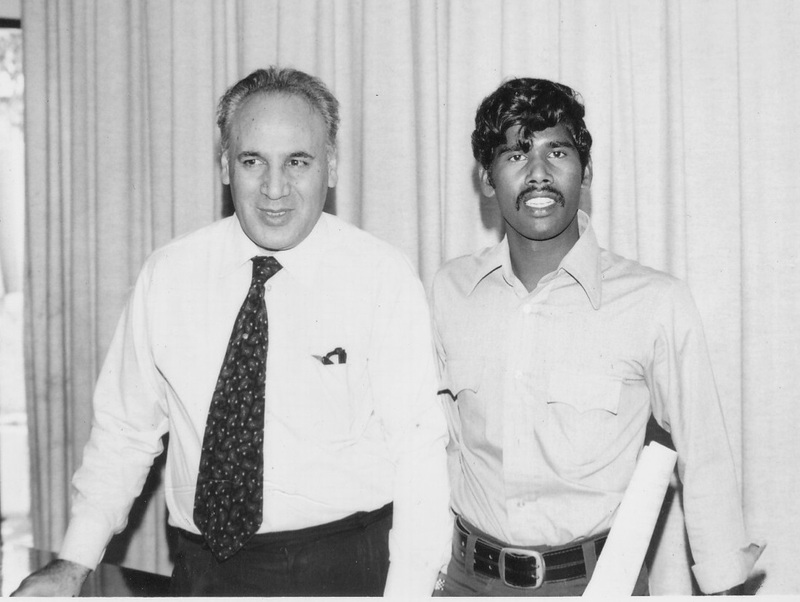 For the record, this Mr. Govindaraju was a staunch Hindu believer who strongly opposed the Baha’i Faith. When I now think back I am puzzled on how he came to possess this booklet from a religion that he opposed. And why was he keeping it at the altar still remains an unsolved mystery. In 1971, I joined the Royal Malaysian Air Force in Kinrara, Puchong, where I did my Electrical Technician Course. In June, 1973, I was posted to Kuching in Sarawak where I was staying in the Air Force Barracks as a Junior Technician. There was a grand 10 Year Independence Day celebrations for the state of Sarawak after it had joined to form Malaysia in 1963. Two of my friends invited me to join them for a night out to the celebrations venue at the Central Padang. While there, we were joined by 3 other girls. When the girls joined us, I felt very uncomfortable and was looking for an excuse to escape from them. Seeing the word ” Bahá’í ” on one of the booths I excused myself from my friends and just walked into the booth. The Faith wafted over me for the third time and I was trapped on a one-way traffic of no return. I immediately took a great liking for the company of the Bahá’ís I met in the booth, namely Mr. Frankie Ang, the late Penghulu Maniam, Mr. Raymond Song, Ms. Kia Chin, Lim Pun Huat, Ragai Lang, Ungau, Terence Tinggi, and Kueh Yan Hua. They welcomed me with so much friendliness, fellowship and radiance. I stayed around, read the posters and pamphlets. After a short while, Penghulu Maniam reminded me that I should join my friends who had accompanied me to the Central Padang. But I had no heart to join them as the attraction in the Bahá’í booth was so powerful. I insisted and stayed on there until they closed up the Bahá’í booth. For the next few nights I kept going to the Bahá’í booth for reasons I could not explain why. I saw them talking to people while passing out pamphlets. Spontaneously I joined them in the distribution of the pamphlets to the visitors. Once back to the army barracks I started reading the pamphlets that I brought from the Bahá’í booth. One day Mrs. Grete Fozdar invited me for a fireside at her spacious house. That was my first fireside. I was very warmly welcomed by Dr. John Fozdar. He spoke on the Faith. After that, almost every week I participated in the Baha’i activities at his home. I was very much attracted to the deepening classes conducted by Dr. Fozdar. More than that I was attracted to the way the Bahá’ís were moving with fellow believers of all races with no prejudice at all. The Fozdars created a family atmosphere for all the youths that I never felt away from my own home, as the love I was looking for was there in abundance. During one of those visits, Mummy Fozdar gave a talk after which she handed a card to another person to sign up. At that moment, I asked her ” What is that card for?” Everyone there gave me a shocking look. With my continuous presence at Baha’i activities for some time now, everyone there thought I had already signed the card and accepted the Faith. Mummy then gave me a declaration card and explained to me. The moment I saw the word “Declaration” I became a bit reluctant, as I was worried of some other implications. I took it and said that I would think it over. I went back and after some thoughts sign up on 12 July, 1973. The next day, I went over to the house to pass the card to Mummy Fozdar. As she was not feeling, I handed it over to Dr. John Fozdar to be passed on to Mummy Fozdar. A few weeks later, I received a beautiful letter from our beloved National Spiritual Assembly of Malaysia. Part of the letter quoted a Bahá’í verse, ” …To gather jewels I have come to this world. If one speck of a jewel lie hid in a stone and that stone be beyond the seven seas, until I have found and secured that jewel, my hand shall not stay from its search”. Reading this I was shaken. I avoided the Faith when Subbaya mentioned it to me in 1964, but was exposed to GUIDANCE ONE in 1966. Now in 1973 I voluntarily went looking for the Baha’i Faith. Could it be the case where Bahá’u’lláh Himself had decided to pick me up for His Cause? Only then did I realize, that it was not I who accepted Him, but He who had brought this unworthy servant into His Glorious Cause! Now a new and pleasant shock was waiting for my friends and relatives in West Malaysia. During my school holidays I used to visit my uncle Mr. Thanimalai in Patani Para Estate, Kedah. I enjoyed going there to play all day long in the cool estate river with my cousins and friends. A batch of youths, including my friend, the late Mayisvaren had accepted the Faith before me in 1970 itself. After accepting the Faith in Kuching in 1973, I applied for two weeks Deepavali leave to come back to West Malaysia. In that year both the Deepavali festival of the Hindus and the Birthday of the Bab fell just few days apart. My plan was to go back to Patani Para Estate to witness the celebration of the Birthday of The Báb. That estate was one of the most active rural Bahá’í communities. Although Deepavali and the Birthday of the Bab fell close to each other, the Bahá’ís celebrated the Birthday of the Bab on a grand scale. This was a clear sign of maturity and understanding of the Faith by the believers. At the celebration of the Birthday of the Bab, I met the late Mayisvaren, who had just come back from India on holidays, the late Balakrishnan (Indra Balan), the late “Rojak” Muniandy, Lingan, and a few others. They were happy to receive me, this time, as a Bahá’í. Upon returning to Kuching not a week passed without me going to the house of the Fozdars. I started to give the Faith to my close friends in the Air Force. One of them given the title “The Mini Devil” was Karuppannan or Karu. Since the lights in the barracks were switched off at 10.30 pm, I used to read Bahá’í books on the staircase where the lights would be on throughout the night. One night as I was reading my Bahá’í book on the staircase, Karu came fully drunk and asked me about the Faith. Seeing his condition I was reluctant to give him the Message. But he came drunk the following day and insisted on learning the Faith, and I still refused. He pressured me this way for three consecutive nights, until finally he agreed to my request to follow me to a fireside at the Fozdars. There he saw the Light and was immediately drawn into the love web of no return. He became a Bahai a few days later at a Winter School, and immediately gave up his drinking and smoking habits. That was too sudden a transformation! The following Ridvan he was elected into the Local Spiritual Assembly of Kuching. I was at first totally reluctant to share the Message of Baha’u’llah with him because of his drinking habits. I was judgmental in choosing who should receive the message. But I was totally wrong! Ours is the duty to give the Faith and it is Baha’u’llah who decides who accepts His message. I was happy to have guided Karu into the Faith. It is this same Karu who later rose to serve in various capacities in West Malaysia, including as member of the National Teaching Committee, and an Auxiliary Board Member. After I had left Kuching in 1975, Karu guided two more great souls into the Faith- the late Dhanabalan, and Krishnamoorthy. They all taught the Faith to their families and brought their families into the Faith. While in Sarawak, I met several Baha’is from West Malaysia who used to come over to Sarawak through Kuching for teaching works. Kuppusamy or Kuppu was already there earlier than me and I learned so much from him. 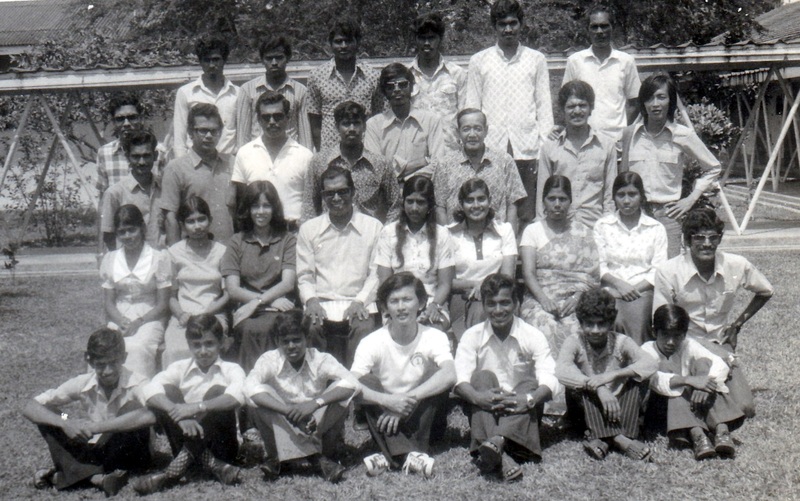 A. Manisegaran who had completed his form six came for travel teaching in December 1974. Karu, Kuppu and I had much fun with Manisegaran’s humour and wittiness. 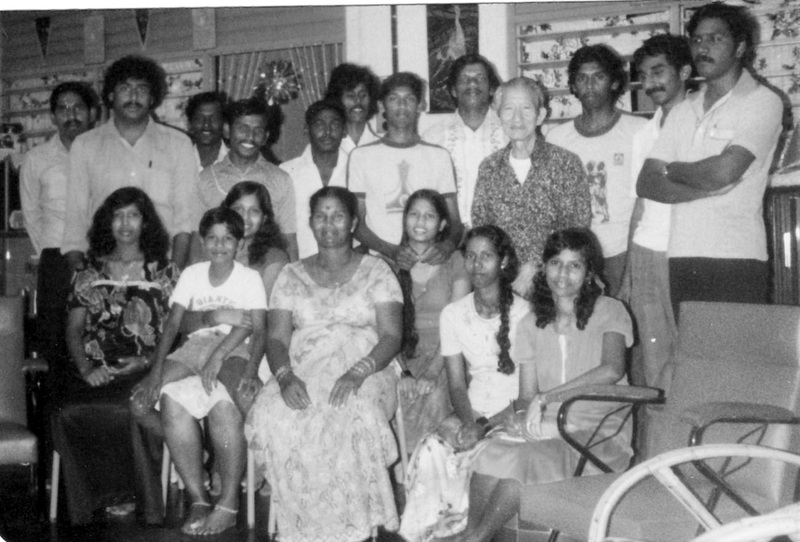 One evening we all sat together and wrote Baha’i lyrics lifted from Tamil film song tunes. They were popularly sung in the Bahá’í conferences throughout the 1970s. I was so happy to be basking under the love of the Fozdars. But in 1975, I received a posting order to report to Kuantan in Pahang. I was too reluctant to accept this order. The late Captain Choo Yoke Boon who was serving in Kuching encouraged me to accept that posting, saying that Kuantan needed more Bahá’ís. He told me to give priority for the Faith, rather than allowing our personal desires to rule our lives. On 19 April, 1975 I left for Kuantan and on the next day I was elected onto the Local Spiritual Assembly of Kuantan. In Kuantan I could see the needs of the Faith were very great. Choo Yoke Boon was right. I was happy to have listened to his advice. In Kuantan I teamed up with the late Francis Singam and Lum Weng Hoe and opened up new areas for the Faith and consolidated the new believers. Lum’s wife Shirley Wong joined us soon. I used to travel by motorbike about 20 miles to conduct children classes at Jeram Estate. Later around 1990, a married man with a child approached me at a busy market area in Subang and introduced himself, saying he was a student who had attended my children classes in Jeram Estate! No effort goes to waste. They surely do produce results some time somewhere. My life was very much impacted by several Baha’is. Although I was deepened in the Faith by the teachings and Writings, to a large extent I was confirmed in the Faith by several exemplary Baha’is. In Kuching it was Dr. John Fozdar and his wife who laid a firm foundation for my spiritual life. Choo Yoke Boon was another person whose personal life was so chaste and holy that one could feel his saintliness just by mere association with him. One more unforgettable soul was the late Inbum Chinniah. He came for a One-Day Conference at Air Putih School held on 31st August 1975. He was an Auxiliary Board Member then. His talk was very simple and yet had a profound effect upon my soul. The others who had created a deep impression upon me were Hands of the Cause of God Dr. Muhajir, Abul Qasim Faizi and Collis Featherstone whom I met first at the South East Regional Conference in Port Dickson in December 1976. Their talks moved my soul. I had an opportunity to take a photo with Dr. Muhajir. He was a great soul and yet down to earth. I was the third prize winner for the Birthday of the Báb competition organized by the National Bahá’í Youth Committee in 1975. The prize is a book, “The Advent Of Divine Justice” signed by Dr. Muhajir. In one of his visits to West Malaysia, Dr. Muhajir put his arms around my shoulder, and asked me in a very loving and soft voice, “So what are your plans for this year?” That loving question itself would move me to serve. Yankee Leong has a special place in my heart. I gave the Healing Message of Bahá’u’lláh to my family, and most of whom accepted the Faith. In 1980 Yankee Leong had visited to my house in Kepala Batas, when I was away on duty. All my family members were touched by the words of Yankee Leong. In him they saw a saintly figure. However Jack Davis, a long time pioneer to the Philippines and Taiwan has a special place in the soft corner of my heart. 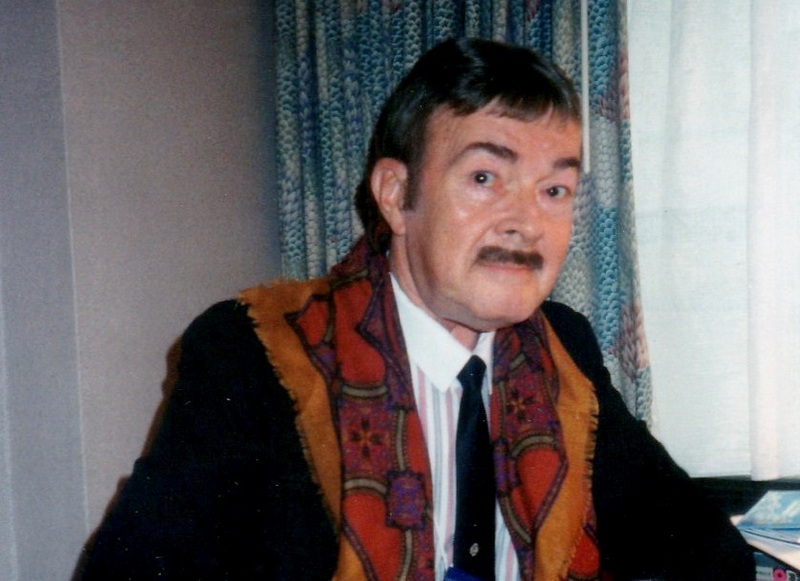 In 1989 Jack Davis came to Malaysia to conduct spiritualization courses. He was focusing on the sufferings of Baha’u’llah. My wife Mala and Selvi, wife of Karu were assisting him in the courses he conducted nationwide. I too joined the nine Day course at the Yankee Leong Institute in Balakong. The course went on smoothly until one day Jack expelled some of us saying we had become lukewarm Bahá’ís. Among those in my group were the late Rama Naidu, Gopal, Karthigeyan and Arumugam. After keeping us out for hours we were allowed to go back into the class in the evening. Deep in my heart I felt humiliated and disappointed with the way we were treated. As soon as the session was over for the day I confronted Jack, “Who are you to judge my faith in Bahá’u’lláh? You have no right to come in between me and Him.” Jack, with tearful eyes immediately hugged me, showering me with so much love that I ‘melted’. I felt so weak and helpless under the strong grip of his caring arms. My anger disappeared instantly, and my respect and admiration for him developed gradually. We became close friends, after that incident, having high respect and regards for each other. When Jack passed away on 7 July 1999, a few of his friends joined us in organizing a memorial for him at the National Baha’i Centre in Kuala Lumpur. A few days after his passing Mala and I received a message from our National Office saying that there were some parcels for us from the National Spiritual Assembly of Taiwan. They were delivered to us the next day. When we saw the contents we were shocked, speechless and dumbfounded! It was signed by James and Debbie Nester, who were his executors. We opened the parcels and more surprises were in store. They were treasures of the Faith- photographs of the several early believers, the Guardian, several Hands of the Cause of God as well as rare photographs of early Bahá’ís of the Philippines, Thailand, Japan, Taiwan and other South East Asian countries. There were post cards, letters and communications between Jack Davis and several Hands of the Cause of God. We felt unworthy to receive such bounties. Mala and I consulted and concluded that their rightful place would be the International Bahá’í Archives and not our home. We communicated with the World Center through our National Institution, and shared what was entrusted to our possession, and indicated our intention to surrender them to the World Centre. We received an affirmative answer. We then sent over all those highly valued treasures for the safekeeping at the International Baha’i Archives. Our hearts were calm as after having made these arrangements. “Deep as are family ties, we must always remember that the spiritual ties are far deeper; they are everlasting and survive death, whereas physical ties, unless supported by spiritual bonds, are confined to this life. …….